Director of The Art Gallery Tumi Tlhabi. BEING first comes with a lot of envy, but it also presents a heap of responsibility. Ask firstborn children or any country’s first citizen. 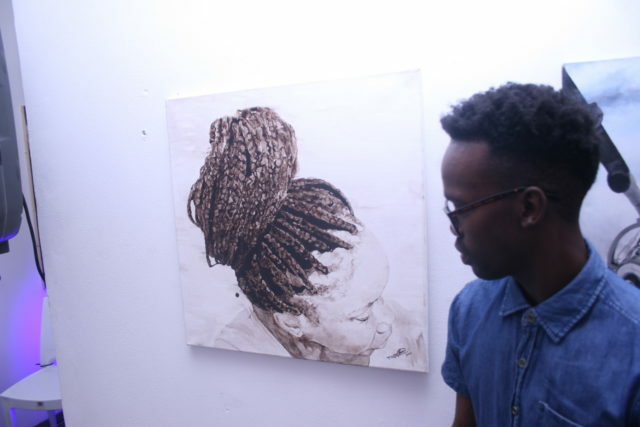 Such responsibility weighs on the shoulders of Mahikeng’s first art gallery which was launched this past weekend. “Our job is to facilitate each exhibition and ensure that there is a seamless flow during each showing. The more exposure the artists get the easier it is for them to sell their works. This is why we also as much as possible utilise our social media platforms as well as those of our partners to talk about the gallery. 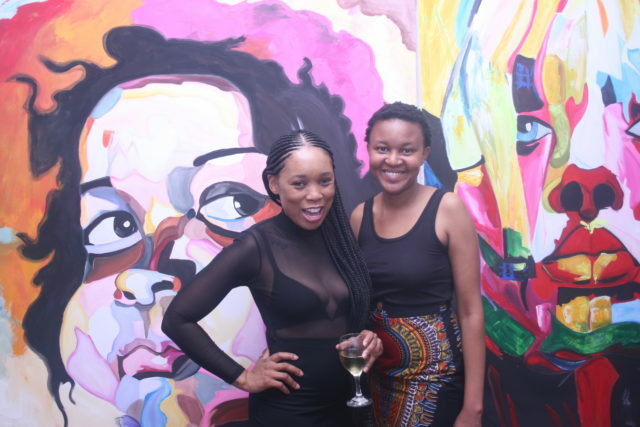 Collaboration with the local artists is vital for stimulation of the creative arts industry and also for local economic development,” says Director of The Art Gallery Tumi Tlhabi. 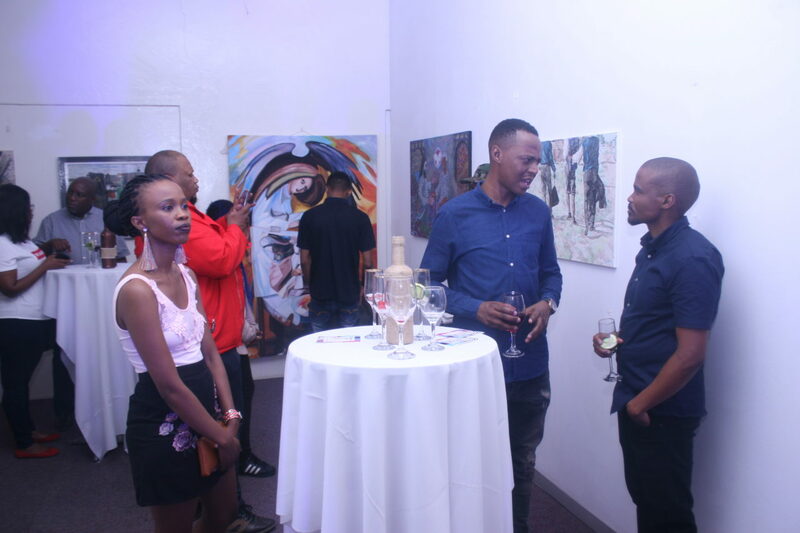 Situated in the Dada Motors Precinct in the North West, The Art Gallery officially welcomed consumers on Saturday the best way; with wine, music and local art on display. 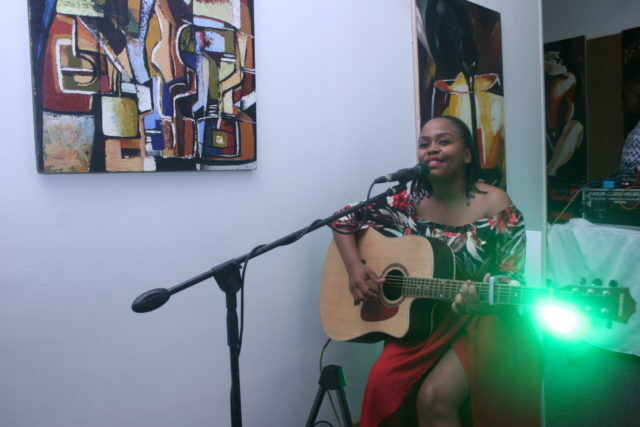 Lesedi Makapela was the evening’s music guest as attendees glanced at work by artists from Ngaka Modiri Molema and Bojanala Districts, but contemporary artist Kingsley’s work was the main exhibition. Three art works were bought on the night. “Our first intake was from all four districts of the North West Province. 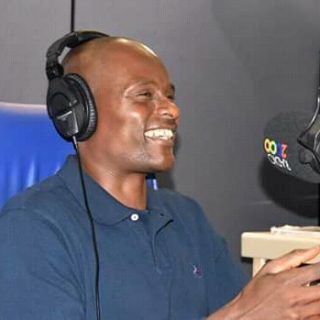 Kingsley, although having grown up in Johannesburg has settled in Mahikeng,”says Tlhabi. 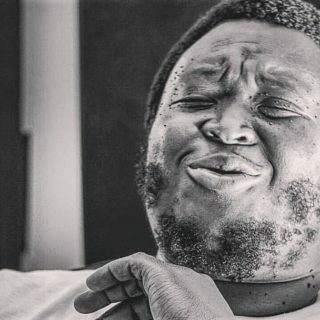 “We would not want to box the gallery and say it is only for people from Mahikeng. All artists are welcome to exhibit their works as long as they fit the criteria that we have set. For instance we will on a monthly basis, have a particular theme for our showing. Criteria will then be based on that particular theme. Artists are then able to apply for their work to form part of the showing. We would however have a slight biased to the North West Province given the fact that most artists do not have a platform to exhibit their work,” Tlhabi tells me. Such reaction, less than a week since opening its doors, displays the magnitude of the role Tlhabi and her team have. There’s a demand for art and there are suppliers within the community, The Art Gallery is there to responsibly mitigate that transaction.